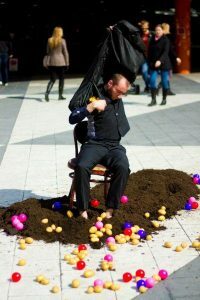 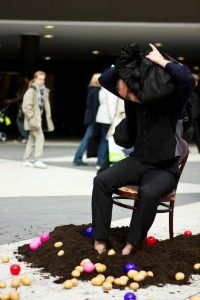 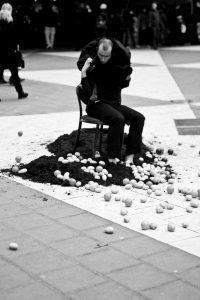 “Wait“is a continuation of my former durational performance „Please, take a potato and wait with me“ (performed in Glasgow, 2009). 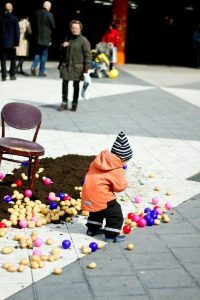 It refers to the topic of transforming private and public spaces in a shared space based on memory and childhood. 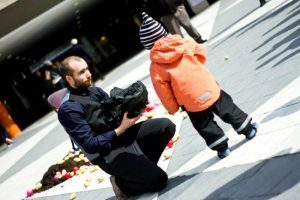 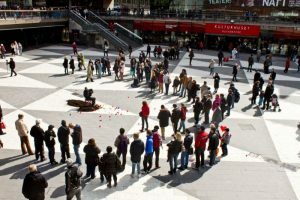 The surrounding of this performance becomes suddenly a meeting spot and invites in a playful manner to take part. 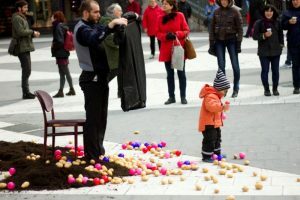 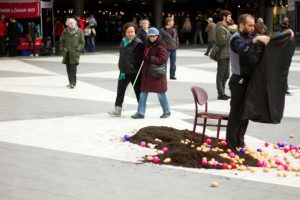 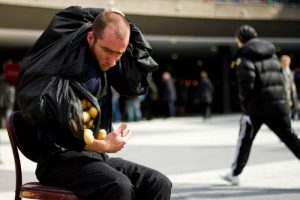 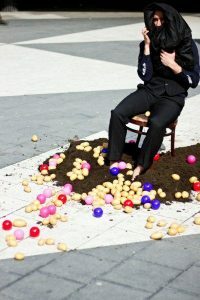 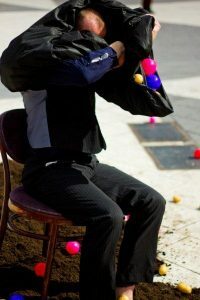 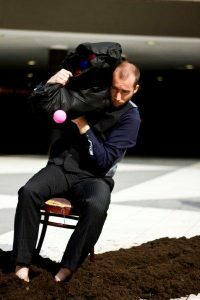 Potatoes and color toy balls are the central object for this Performance and could hopefully open a controversial intersection between memories, roots and cultural identity.